I said I would post daily on this thing. That was six days ago. In the true fashion of not upholding to my word, I had to slack off for a few days. The weigh-in for my work’s weightloss challenge was last Thursday. I made sure to drink plenty of water right before. I’m hoping that’s why this 5’2 lady had the number 145 light up on the scale. Maybe I DO need to diet? Ugh, I really like my waistline, so I’m not feeling any pressure – or motivation. Although, I still have $40 on the line to lose 10 pounds. 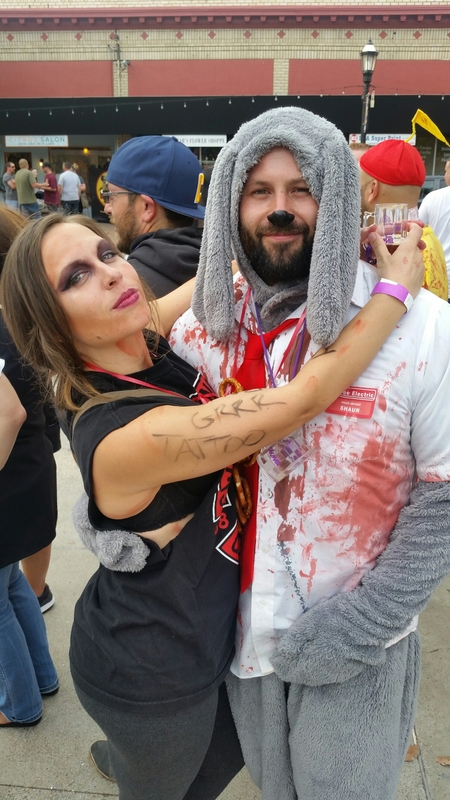 That is a photo of my best friend and I at Zombie Brew Crawl last Saturday. Or is it my best friend and me? The face I am making perfectly illustrates my feelings for dieting. Anyways, as you can see in the photo, I have a tiny glass of beer. 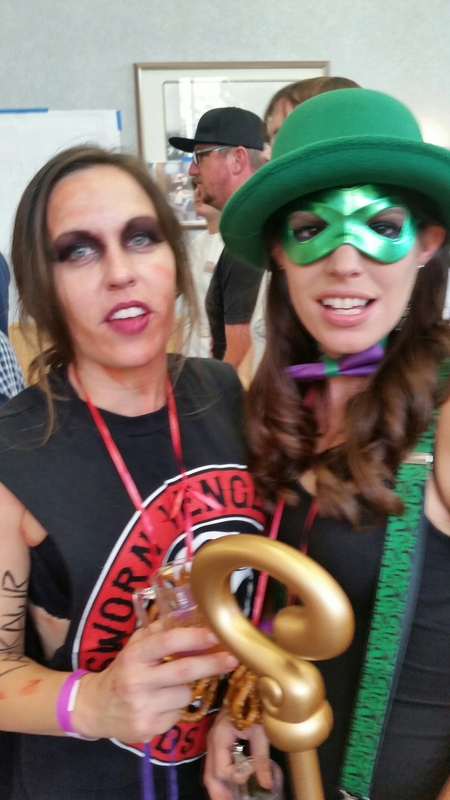 Times that by three hours and mutiple tiny glasses – I had a lot of beer that day. Needless to say, week one of the diet wasn’t productive. Unless you count the fact I bought a tiny box of Cheez-Its instead of the full, grown-up size box for lunch. Then week one diet was a success. I’ll keep you posted on week two.